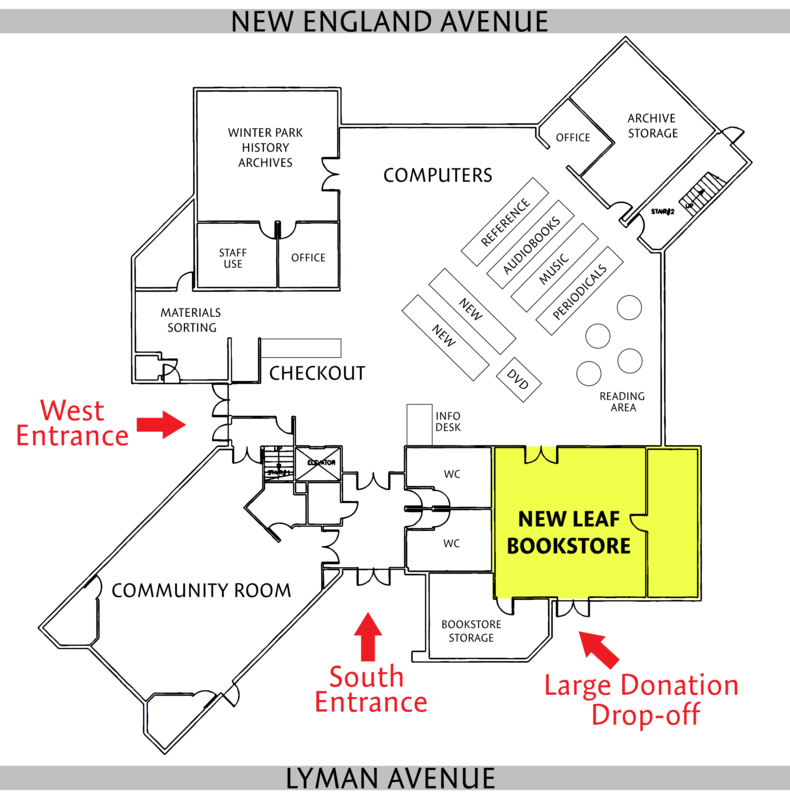 The New Leaf Bookstore is sustained by generous neighbors who contribute books, records, magazines, DVDs, and other items for sale. Donors may bring books to the Library at any time. If the Bookstore is not open, the Circulation Desk is happy to accept donations. Learn more. Blue dotted merchandise is 50% off! Click HERE to get sales information sent directly to your inbox. Currently thirty-five loyal volunteers serve as cashiers, sorters, and shelvers. Several have worked at the Bookstore ever since it opened in 1995. We are always looking for new volunteers. Apply online today! The New Leaf is closed on Holidays and when the Library is closed.